" Part memoir and part cookbook, GROWING UP IN A KOREAN KITCHEN is one woman's cultural and culinary story, weaving childhood reminiscences with lovingly gathered recipes. 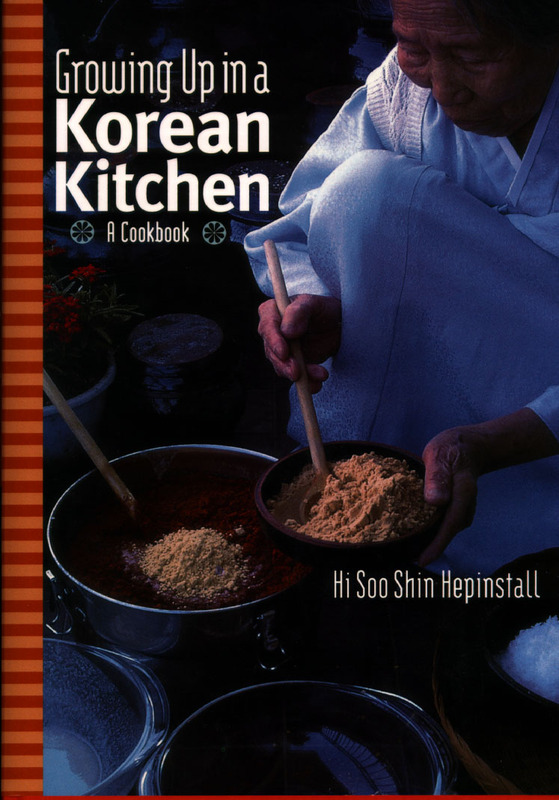 With descriptions of the traditional Korean kitchen, preparations for special feast days, and the rituals of everyday family meals, author Hi Soo Shin Hepinstall draws an engaging portrait of a seldom-viewed way of life. Easy-to-follow recipes, largely handed down through oral tradition, cover the wide range of main and side dishes, from the sumptuous elegance of "royal cuisine" to simpler countryside cooking. Korean cuisine has emerged as one of the most exciting and robust tastes of Asia, with great variety and some of the world's most sophisticated techniques for pickling and cooking with garlic and hot pepper. Cooks of all levels, as well as armchair travelers, will want to add this book to their collection." 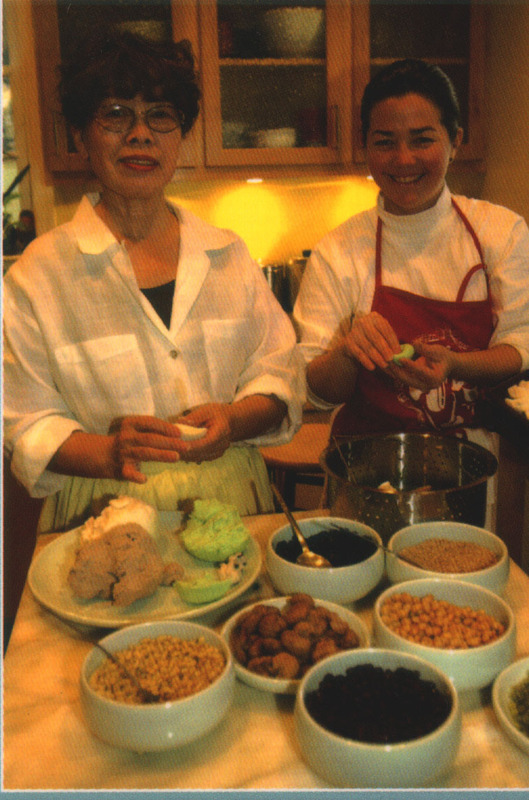 HI SOO SHIN HEPINSTALL began her serious culinary and cultural research while living in Europe in the 1970s. After attending a summer course at the Cordon Bleu Cooking School in Paris, France, she continued her culinary studies in Seoul, Korea, and Southeast Asia. In addition, she has written two novels, one of which won a Korean literary prize and was made into a popular movie. She lives in Washington, D.C.